C.J. 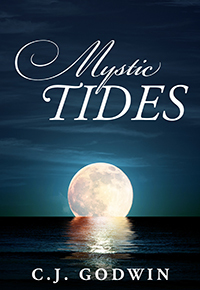 Godwin’s “Mystic Tides.” This dark fiction classic is recreated in modern times where an Alaskan native moves to a quiet town in Florida. He is immediately attracted to a natural beauty with magnetic charm. Later, he begins to realize that his love interest might not be the woman that he thinks she is. As she begins to show signs of mystical powers, her surprising past is revealed.